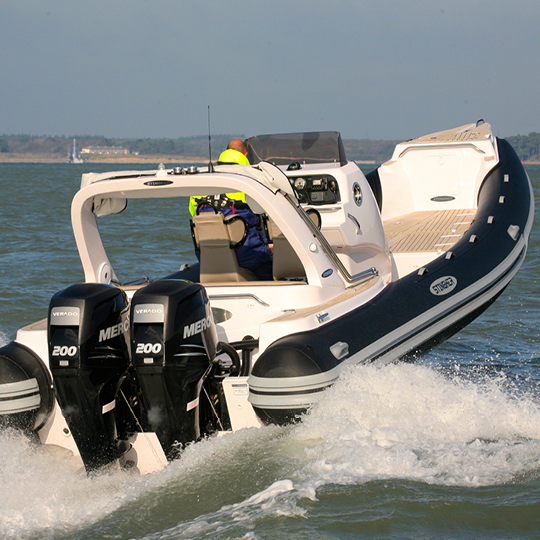 900GT STINGHER REVIEW - BY POWER BOAT AND RIB. Stingher presents its latest model, the Stingher 900GT Custom Sport. 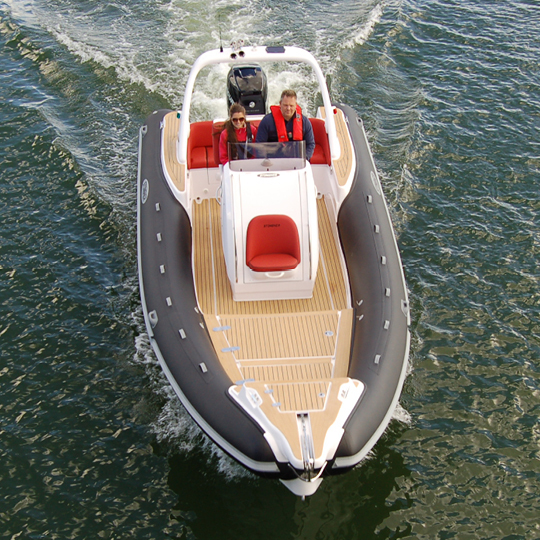 The result of over 18 months development, this Rib comes exceptionally well appointed and is available in either twin or single outboard versions. Larger than our best selling 800GT, the extra space enables us to fit more seating behind the console and stern seat. The bow includes a U shaped area that can be used for dining with table in place, or sunbathing with the table stowed. As with all Stinghers, there is a huge amount of locker space and under floor storage. The size of the console has been increased, enabling us to fit larger GPS systems and a variety of gauges. Opening the front door, you step down into the full height console which can be fitted with an electric flush sea toilet. This superb specification is only available at Stingher UK through our Bespoke Custom Design department, which enables us to finish to the highest quality and fulfill you requirements. 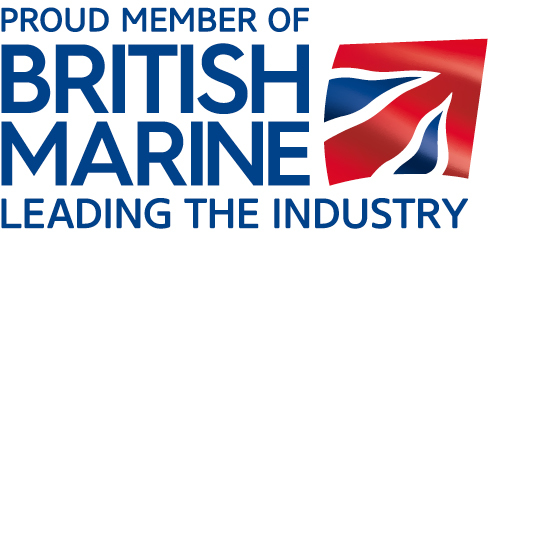 The list of standard equipment is unequalled by any of our completion. However, the choice of optional extras is outstanding. As with all Stingher, models the high performance hull is a true deep V. This provides an exceptionally dry and smooth ride, with impeccable handling, with no slamming. The Stingher 900GT has the distinction of not only impressing the most demanding of drivers with its spectacular performance but also being a comfortable and social Rib which can be enjoyed by all the family. The Stingher 900GT is a true thoroughbred from the Stingher stable.